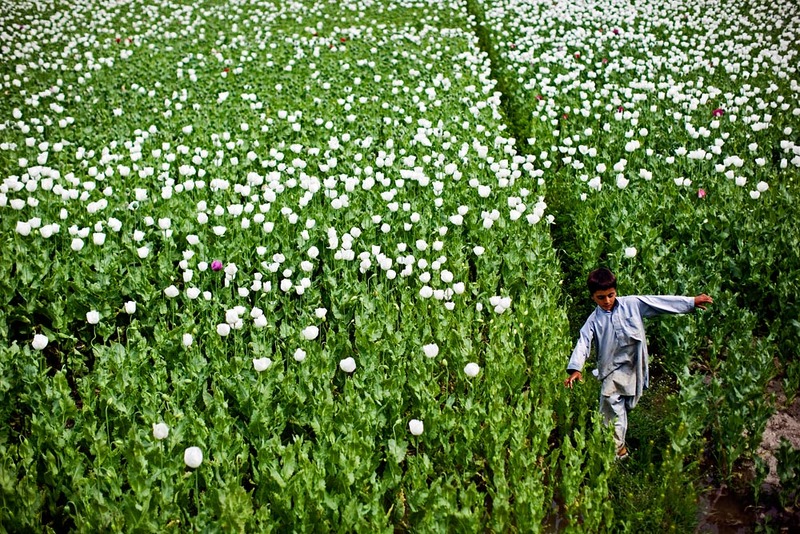 An Afghan boy wanders through a field of poppies. In 2007, Afghan farmers harvested a record 8,200 metric tons of poppies, much of which wound up as opium. What draws farmers to the black market? In some years, poppy farmers earned six times Afghanistan's per capita income.